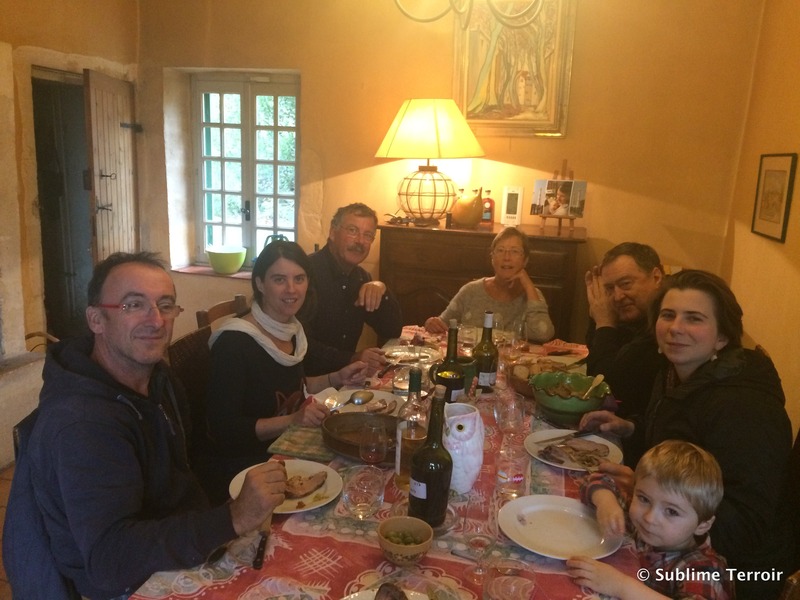 We expats and europeans have to celebrate thanksgiving as we can…. Overcast day with a few droplets of rain. 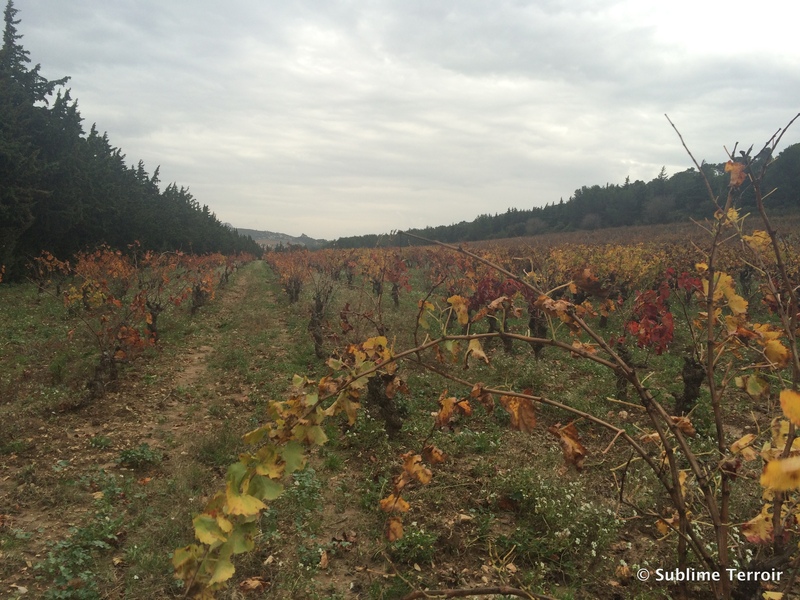 The very last leaves on the grenache vines flaming yellow and orange. A good and productive tasting of almost everything in the cellar from vintages 2013 and 2014. Time for the highlight of the day: provencal lunch concocted by Lucienne and Eve who always surprise us with something different. The Menu is composted of an appetizer of green salad with truffles harvested the day before by Luc and his dog Diablo. Local Pork rack of pork cooked at a low temperature with stewed fennel. 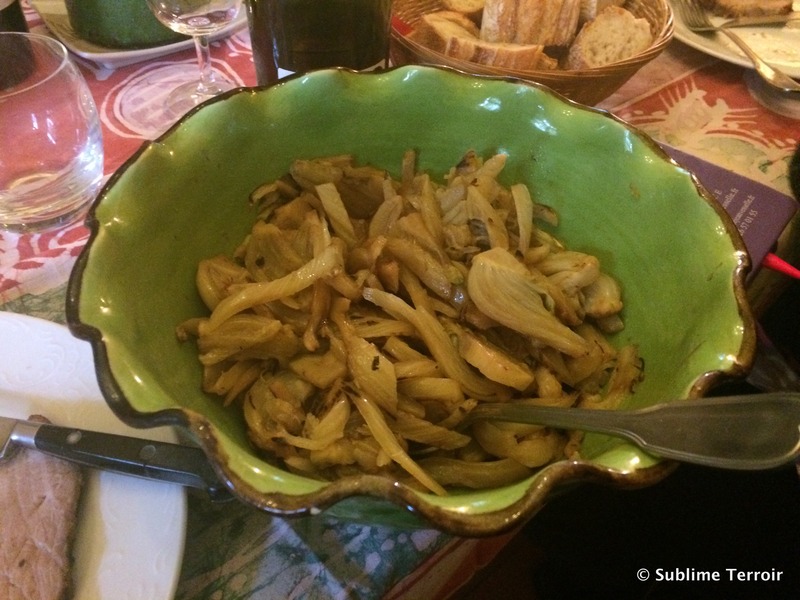 With the porc, Luc and Lucienne who had just returned from the reunion island served a hachard, a condiment made with Ginger and heart of palm – delicately and aromatically spicy, a touch of exotic sunshine tinging the provencal cuisine. And it went wonderfully with the 1982 red that was still kicking with perfumes, truffles and spice.We finished off with local goat cheese. In 2013, mas de gouronnnier suffered 35% less production across the bord because of cool weather during the flowering of the grenache vines. 70% roll, 30% sauvignon. Tank made and aged. Nose: very aromatic with crushed peach pits. Poachec peaches and pears. Mouth: not as strict as in previous years. Red fruits topping salad of pears.Seems less sauvignon signatured. Very small harvest, limited quantity will be sold first come first serve. Only 100 cases total available for US. A rounder, fatter more southern styled wine than recent years More voluptuous and longer. Nose: a little closed because of recent (2 days bottling) bottling. Pink and black fruits. Thyme. Grapefruit. Nose: smoky and peppery. Black cherries. Olives and spring time garrigue as if the thyme and rosemary were fully flowering. A touch of black truffle. Mouth: concentrated, smooth tannins. Long and peppery. The best they have ever made. The 2014 is lighter in style. There will be no Cle de paradis 2013 because of the small size of the crop. Nose: lots of purple things. Liquorish and black pepper. Forest floor and black mushrooms. 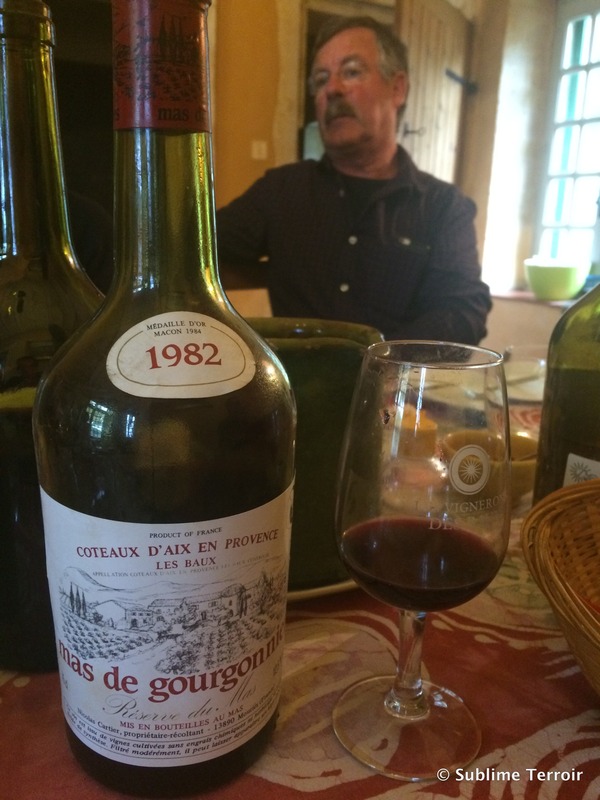 Next Post Domaine Du Dragon Cotes de Provence, Rosés 2014 and a few reds….